Absolutely divine! 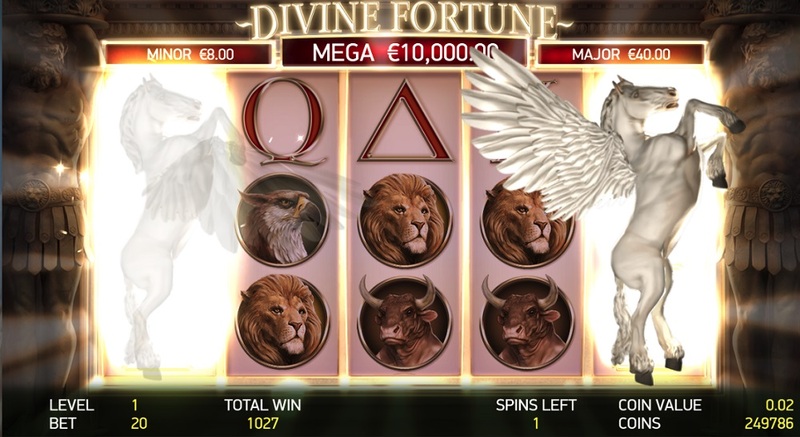 Based on the times of Medusa and the Minotaurs, is there a better backdrop for a slot game than Ancient Greece? 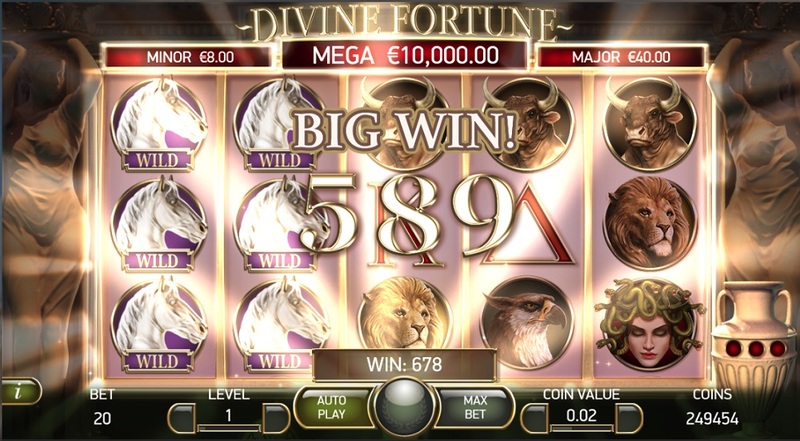 Divine is such a beautifully apt word to describe this slot game. Just look at the symbols, look at the livery, look at the porcelain figures on the side of the screen. It just all feels so angelic. But this isn’t one of those games that just looks beautiful and annoys you with its clunky gameplay. 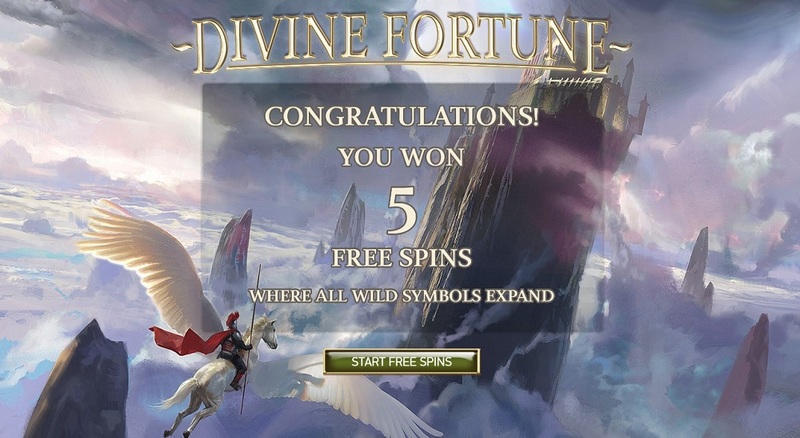 No, Divine Fortune hits all the right spots providing delightful animations and silky smooth spinning motions. The game is also brilliant on mobile, as you would expect from a game only created in 2017, and it all lives up to the reputation that Net Entertainment have of being the most consistently brilliant slot software provider out there. 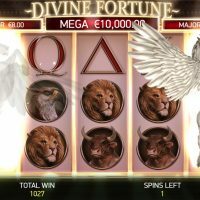 As this game is built on that of Greek Mythology, all the symbols are related with Medusa, The Nemean Lion, a Minotaur, the Eagle of Zeus all featuring plus funky versions of the traditional A’s, K’s, Q’s and J’s. The best symbol you can get is the Medusa’s which pay 600/1 should you hit five in a row. 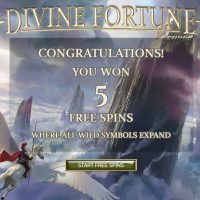 You can get on to the bonus by hitting the Free Spin symbols. 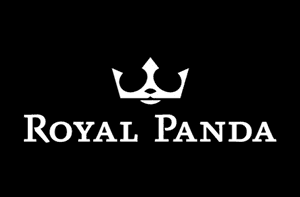 There is a bonus round, but there’s very little to it, you’re just given free spins when you hit three or more of the Free Spin symbols in any of the five reels. 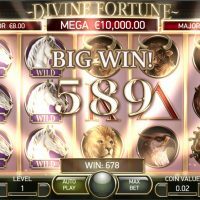 You aren’t able to bet on different lines on Divine Fortune, but there is a wide range of bets where you can wager between 20p and £100 per spin. The house edge is an excellent 3.4%. There is a decent autoplay feature with a couple of autostop options. 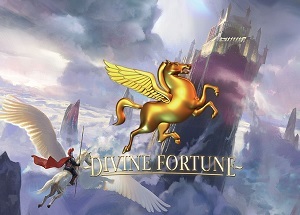 Divine Fortune holds most of the cards. 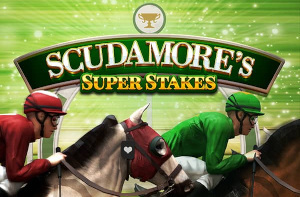 It’s a beautiful looking game, it offers silky gameplay, it has a magnificent house edge, and there are big wins to be had. The one thing that does let this game down is just how standard the bonus round is. 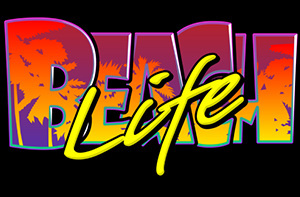 There’s nothing unique about it, just the classic free spins awarded then away we go. But having said that, don’t let that detract from just how great this game is, bonus round aside, this is a fantastically rounded slot with a house edge as in favour as anything you’re likely to find. Top work NetEnt.